On the east side of High Wycombe in Buckinghamshire, towards the tail end of 1968, Ray Cramp Sr purchased a 6-year-old Ford Consul and a hackney carriage license, and with this, so began A1 Taxi Service. Working from the local taxi ranks Ray Sr covered the local area, becoming a regular and popular sight in and around the town. In 1970, having spent the past 2 years working locally with his sole hackney carriage and building up the fledgling A1 Taxi Service business, Ray Sr purchased a further two hackney carriage licenses, with the intention of expanding the business. In 1972, Tony, Ray Sr’s son, joined the business, working from the local taxi ranks, and two years later, in 1974, Ray, Ray Sr’s son, also came on board, taking up the 3rd hackney license. 1976 saw the introduction of the Local Government (Miscellaneous Provisions) Act which covered the licensing of vehicles for use as private hire vehicles. It was at this time that Ray started working private hire, operating from premises on Hithercroft Road in High Wycombe, whilst Ray Sr and Tony continued working from the local taxi ranks. 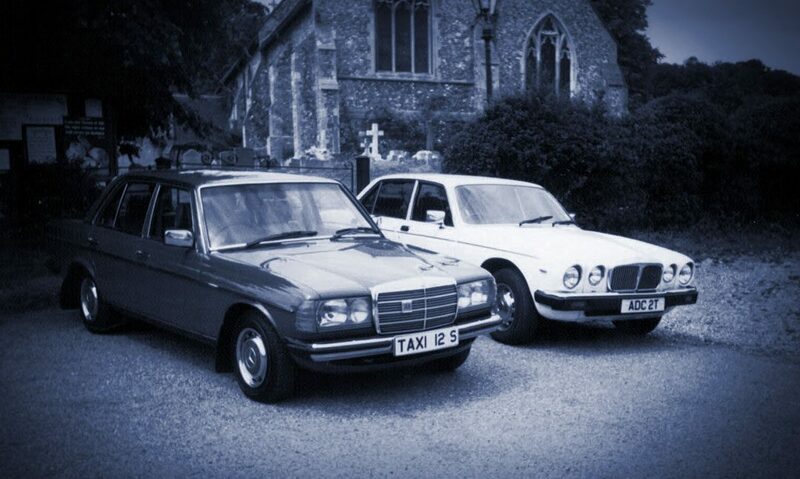 Late 1976 saw A1 Taxi Service move premises to Lindsay Avenue in High Wycombe, and another family member join the business; Ray Sr’s son-in-law, Phil. At the turn of the year, five members of the Cramp family were involved in the business; with Ray Sr and son Tony working from the taxi ranks, along with son-in-law Phil. Ray Sr’s wife, Rita, in the office answering the phone and taking private hire bookings, and son, Ray, working private hire. The 1980s marked the first period of significant change at A1. 1982 brought changes at the head of the business, with mum – Rita – and sons, Tony and Ray, forming a partnership to run the company. A few years later in 1986, the A1 office moved again, this time renting premises in Upper Green Street in High Wycombe. With this move, and the growth the company was experiencing, A1 was in need of an extra couple of helping hands. These came in the form of Janet, Ray’s wife, periodically working in the office, and Sue, Tony’s wife, out on the road, carrying out private hire bookings. 1988 saw the introduction of a new computerised booking system at A1, a significant step in making booking and dispatch a much more efficient process. The close of 1980s saw another change of premises, this time to Totteridge Avenue in High Wycombe and another family joining the business: David, Ray’s younger brother, started working in the office, taking bookings, in 1989. After all the changes of the 1980s, the 90s were relatively peaceful by comparison, with only two, albeit significant, changes, both occurring in 1998. At the head of the business, brothers Tony and Ray took over the running of the business, and moved the A1 premises to its current location on Straight Bit in Flackwell Heath. July 2004, fresh from college, Ray’s son, Les, obtained his hackney licence and became the last member of the Cramp clan to join the family business, working in the office with his uncle, David, and out on the road when needed. The turn of the year saw a £72,000 investment to upgrade the booking and dispatch system, with a move to the Autocab system, and the first non-family member to join the office, in Roy. After 32 years with the business, Ray was ready for a change of scenery, and in 2006 he left A1to move to Yorkshire, leaving his brother, Tony, in sole charge of the business. For the first time in 30 years, since Ray Sr started A1 with his single hackney, the company lay in the hands of a single person. The changes in the business and the expansion that A1 had experienced, meant that this situation did not last long, and 12 months after Ray left for Yorkshire, Tony and Les – Ray’s son – formed a partnership to take the company forward. In 2008, David moved away from the area, creating an opening in the office. This vacancy was filled by Charlie, Les’ father-in-law, and heralded a period of stability and growth atA1, with no significant changes over the next 4 years. This, however, was all to change, with 2013 truly being A1’s annus horribilis. Ray returned to the area during Christmas of 2012 and re-joined the company. This was of great support to Les, as both Tony and Roy had been diagnosed as terminally ill. The year began with Tony and Les heading up the company, with Les working in the office alongside Charlie, Ray and Roy. However, in March, A1 witnessed the sad passing of Roy. This was followed, in August, by the sudden and unexpected passing of Charlie, and then in October, of Tony. With only Les and Ray remaining of the close-knit office group, A1was in need of new recruits, with two joining the company by the end of the year. First, was the appointment of a new evening controller in the office, in the shape of Ellis; the second non-family member in the history of the company. The second new arrival, came in the form of Ed, son of Charlie, and brother-in-law to Les, joining the office as a controller. By the close of 2013 the new team had found its feet, with Les heading up the company (with wife, Claire, as a silent partner) and working in the office alongside brother-in-law Ed, with Ellis as evening controller, and father, Ray, on the road. It wasn’t until 2017, that another new face joined the team, with Graham (who came to the office to book a taxi, and walked away with job offer) starting in the office as a controller alongside Les, Ed and Ellis. After 14 years working with Autocab, A1 needed an upgrade, and in April 2018 it got one, moving to Datamaster’s Easybook system. Featuring intelligent auto data dispatch, detailed mapping with live and historic vehicle tracking, call popping, call recording and text alerts for customers, it marked a huge upgrade over the previous system. At the same time, A1 welcomed a new evening controller, with Simon joining the team, as Ellis moved onto pastures new. From humble beginnings, with one hackney license 50 years ago, to the present day, A1 Taxi Service has, like any other business, experienced its share of ups and downs, welcomed new staff, whilst suffering the loss of others. However, one thing that has been a constant throughout the history of the company is the commitment to the development of lasting relationships; whether that be with customers, companies or with staff joining the company. With three generations of Cramps having been involved since its inception, A1 Taxi Service truly is a family business. During the 1970s, the A1fleet was comprised in the main of Hillmans. The late 1970s saw some Pegueot 504s added to the A1 fleet. During the 1980s, the Ford Sierra took over as the workhorse for A1, as the Hillmans and Peugeots were phased out. 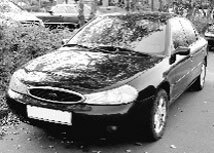 During the early to mid 1990s, the Ford Mondeo replaced the Ford Sierra atA1. “Best cars ever were the 406 Peugeots” according to Ray. The late 1990s saw a number of 406s added to the fleet alongside the Mondeos. After 16 years on the fleet, the Ford Mondeo was slowly phased out in favour of the Vauxhall Vectra.